Actinotus is distributed in Australia and New Zealand (Henwood 2013). Henwood, M.J. 2013. 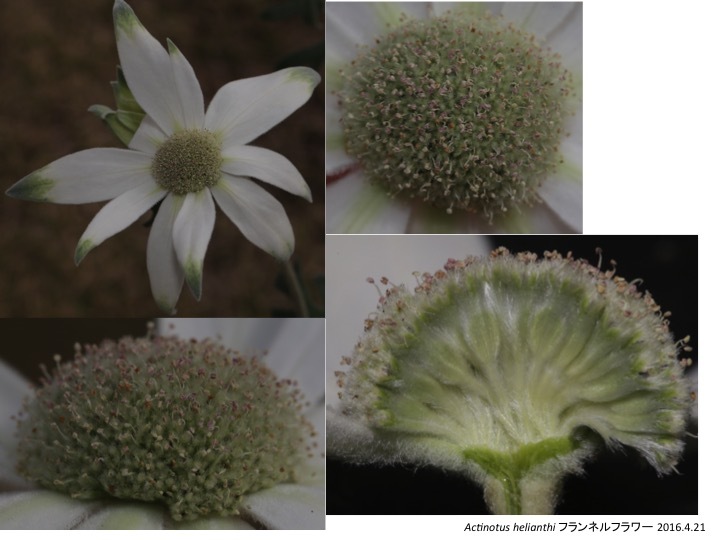 Actinotus repens Keighery ex Henwood (Apiaceae): A new species from south-west Western Australia. TELOPEA 15: 221-225. 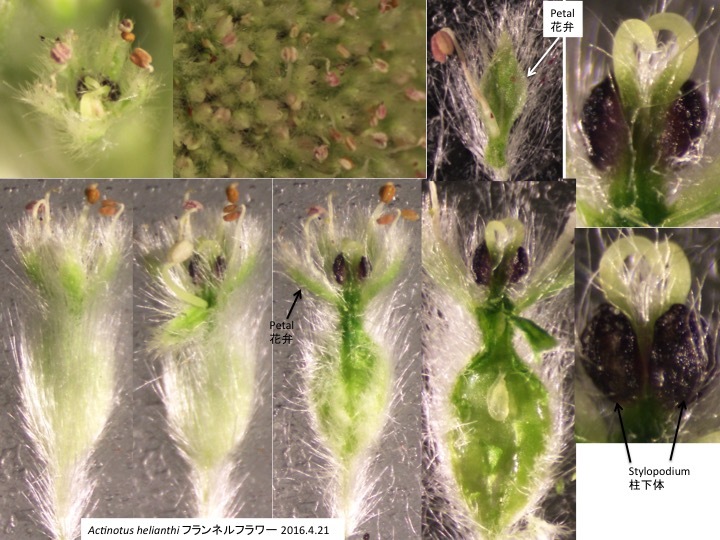 Stylopodiua are not covered by hypanthium. 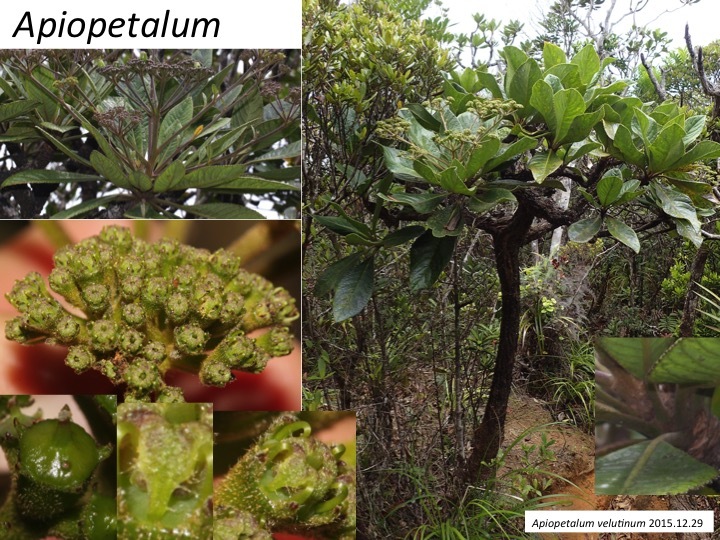 Apiopetalum is composed of two species endemic in New Caledonia (Oskolski and Lowry 2000). 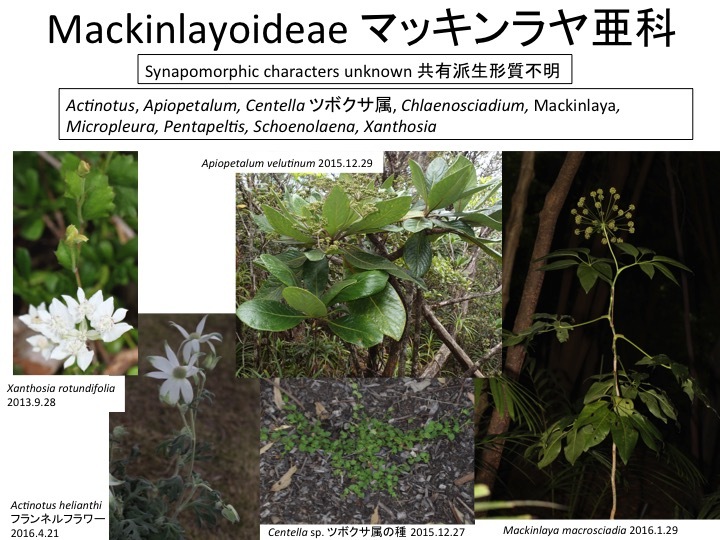 Instead of the woody nature unusual in the Apiaceae and usual in the Araliaceae, some characters including the presence of clawed petals, a bicarpellate gynoecium, and leaf bases encircling a stem are shared with other species in the Apiaceae (Oskolski and Lowry 2000). 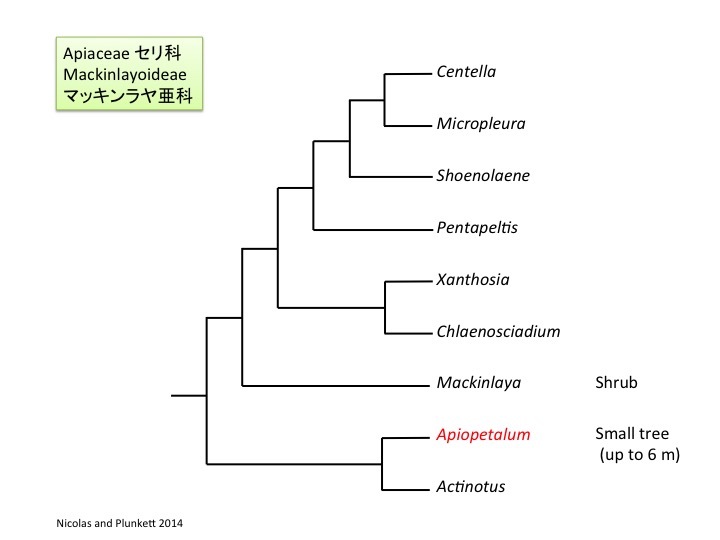 Inclusion of Apiopetalum in the Apiaceae is supported by molecular phylogenetic analyses (Nicolas and Plunkett 2014). 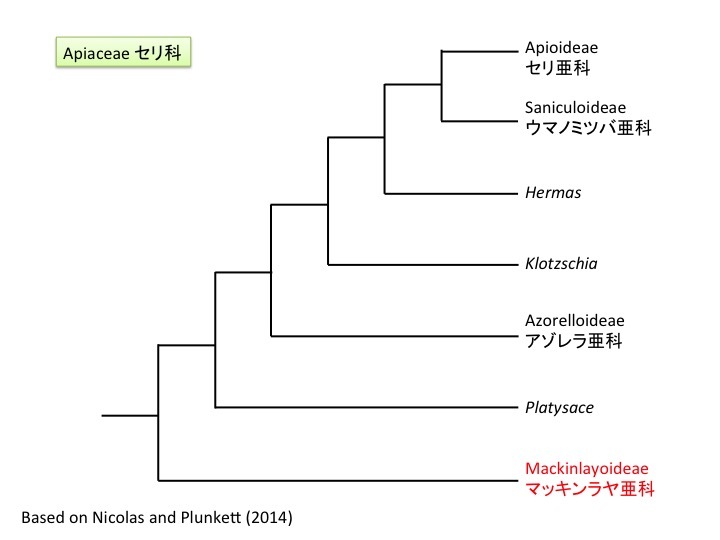 Nicolas, A. N. and Plunkett, G. M. 2014. 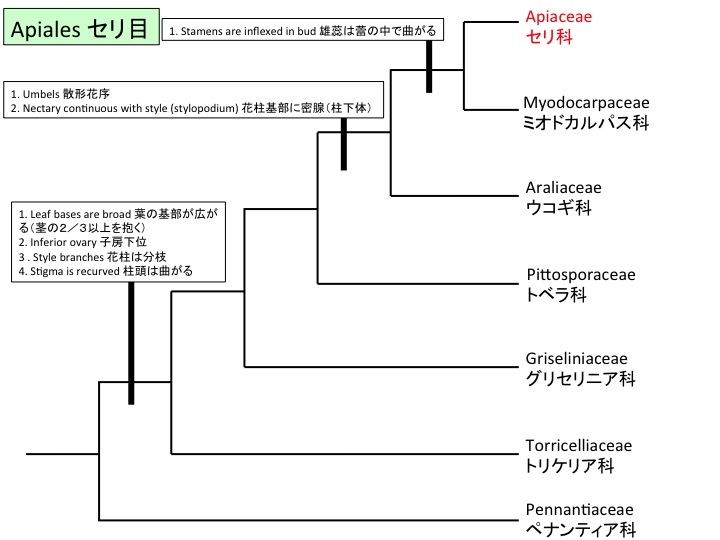 Diversification times and biogeographic patterns in Apiales. Bot. Review 80: 30-58. Oskolski, A.A. and Lowry II, P.P. 2000. Wood Anatomy of Mackinlaya and Apiopetalum (Araliaceae) and Its Systematic Implications. Ann. Missouri Bot. Gard. 87: 171-182. 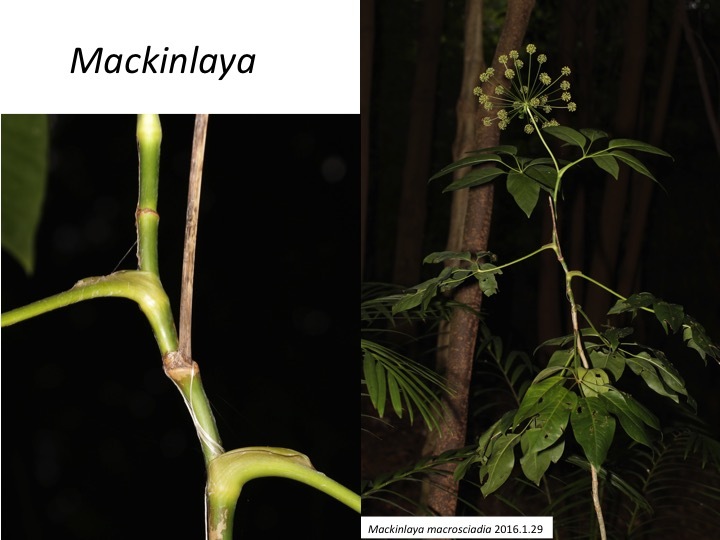 Mackinlaya is composed of five species (Philipson 1979) and distribute from Australia to Malesia (Nicolas and Plunkett 2014). 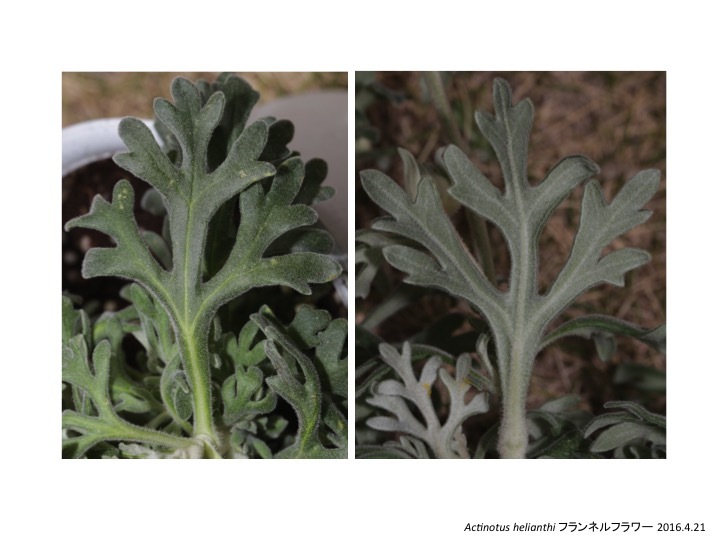 Although the shrubby morphology is unusual in the Apiaceae as the woody Apiopetalum, “leaf bases encircling a stem“ is a synapomorphic character of the Apiaceae. Philipson, W.R. 1979. 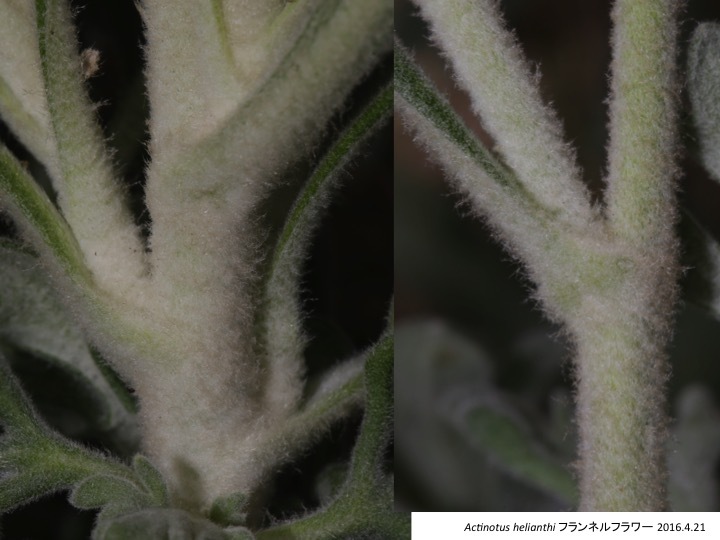 Araliaceae, part 1. Ed. C.G.G.J. van Steenis, Flora Malesiana, Ser. I, 9: 1-105. Martinus Nijhoff, Dr. W. Junk Publishers, The Hague, Boston, London. 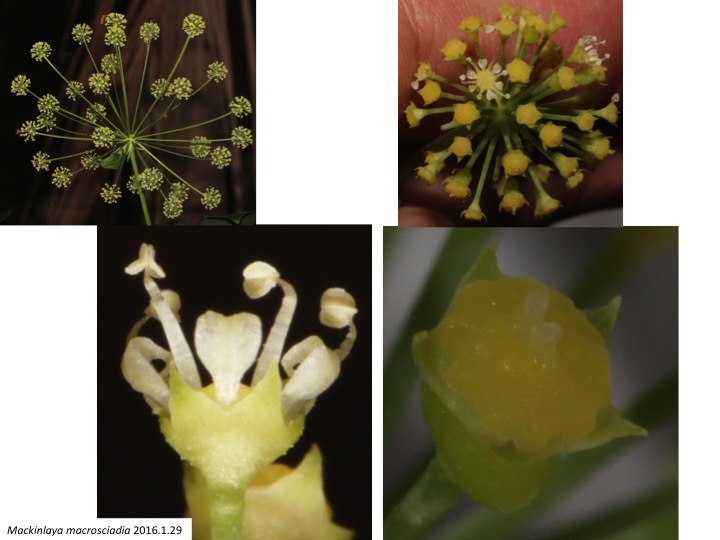 In addition, clawed petals, a bicarpellate gynoecium, and molecular phylogeny inference support its inclusion in the Apiaceae. 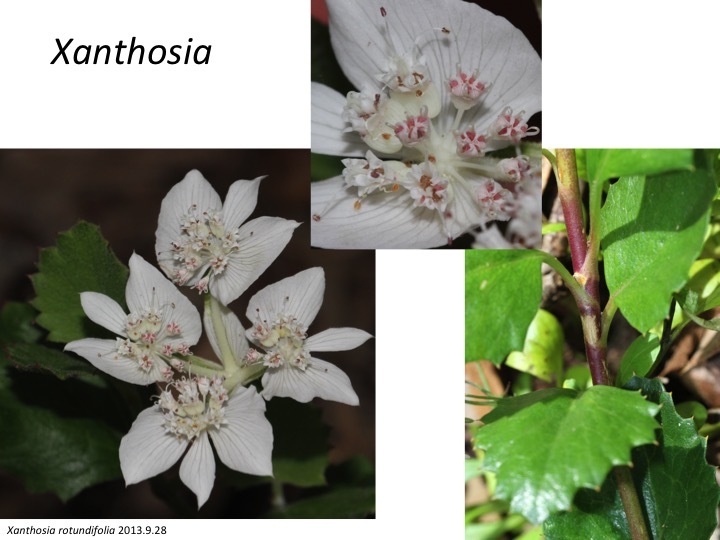 Xanthosia is composed of about 20 species and is distributed in Australia. Xanthosia rotundifolia forms petaloid bracts. 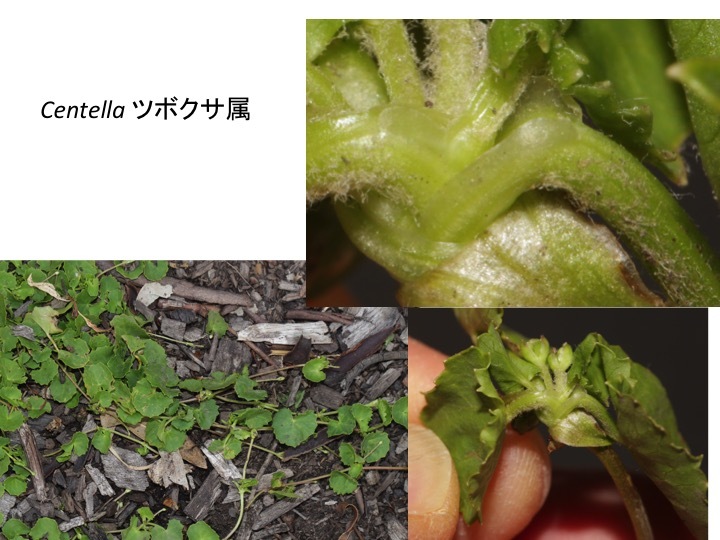 Although the creeping stem, axillary inflorescences, and adventitious roots from nodes are similar between Hydrocotyle and Centrella, Hydrocotyle belongs in the Araliaceae and Centella in the Apiaceae. Centella share the following two synapomorphic characters of the Apiaceae: (1) Leaf bases encircle a stem. 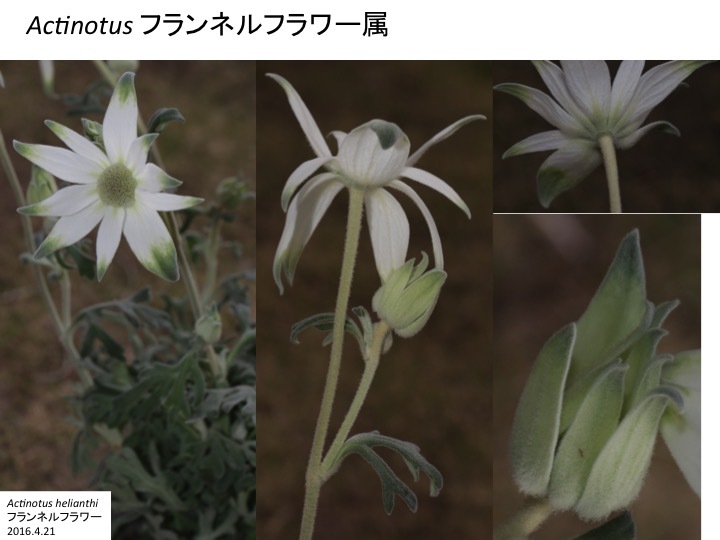 (2) Petals are clawed at the base and inflexed at the tips. On the other hand, Centella do not have oil canals in the fruits, although it is synapomorphic character of the Apiaceae. 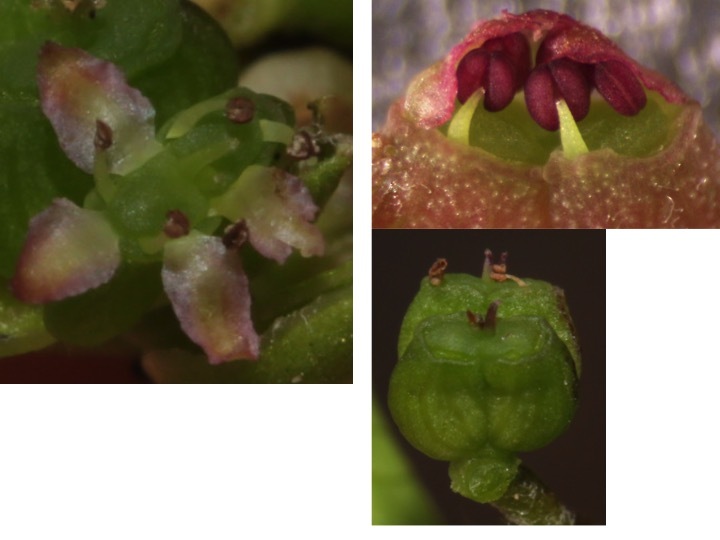 “Extensively inflexed stamens in a flower bud” is a synapomorphic character of the Apiaceae and Myodocarpaceae, but stamens of Centella are not so inflexed.